There are dozens of media codecs and containers out there because every technology company wants to create the next standard file format for video and audio compression. As a result, incompatibility between files and playback software or devices like iPhones, iPads, and Android-based platforms is a widespread problem, not just for movie fans but for regular users as well. Format-related issues may include the following. Your device can’t handle a MOV? The problem might be that your Windows-based device doesn’t support files in this Apple-designed format. Just change the format to something like WMV. Distortions may be caused by the MOV file size – try shrinking it with a media converter. No sound is also a common issue. You can fix it by setting a correct audio codec. Running out of space for a video? Large videos can be easily compressed with the right program. You can upload a lot more of your favorite movies to a tablet or phone and watch them anytime you want. The MOV video format, which was developed by Apple for its QuickTime Player, sometimes comes into conflict with Windows-based PCs and devices if the required codecs are not installed. The easiest solution is to convert MOV to WMV – a format designed by Microsoft and playable in Windows Media Player. 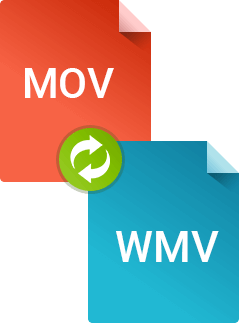 To do this, all you need is Movavi Video Converter, which converts files from MOV to WMV and WMV to MOV plus many other formats. The software supports most file types and codecs, so you can forget about problems with incompatibility. 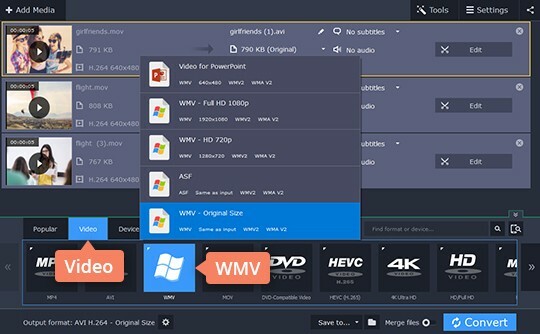 Download Movavi Video Converter for Windows or Mac and get started watching your movies and TV shows without error messages. Use the blue buttons above to download the software. Double-click the file when the download is complete, then follow the installation steps. 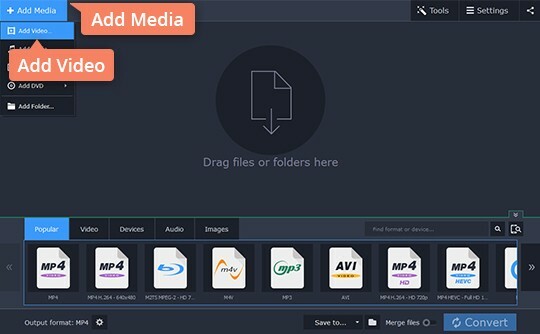 To add files for conversion, click Add Media and then Add Video. Locate the videos you want to convert and open them. 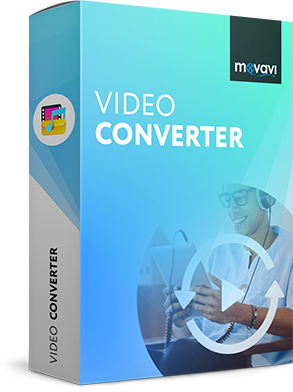 You can process multiple files simultaneously with Movavi Video Converter. Navigate to Video > WMV, and choose the WMV preset with the resolution that best fits your needs. If you need to convert WMV to MOV, choose the MOV preset in the MOV preset group. If necessary, change the destination folder by clicking the Folder icon. To change the files from MOV to WMV (or from WMV to MOV), click the Convert button. That's all there is to it! You can also check out another step-by-step tutorial on WMV conversion.